Boxing is in the air I’m breathing this weekend. Need to drop in for a birthday party for my pal Floyd Salas, who is hitting 85 years on the Mean Streets — and some of the streets he went up and down were unquestionably mean. If he had to, I can still see Floyd get into a fistfight today. . . .
Nathan Ward just sent in a link to a boxing article he did, and none other than Brian Leno popped in some idle ruminations occasioned by reading in boxing biographies. 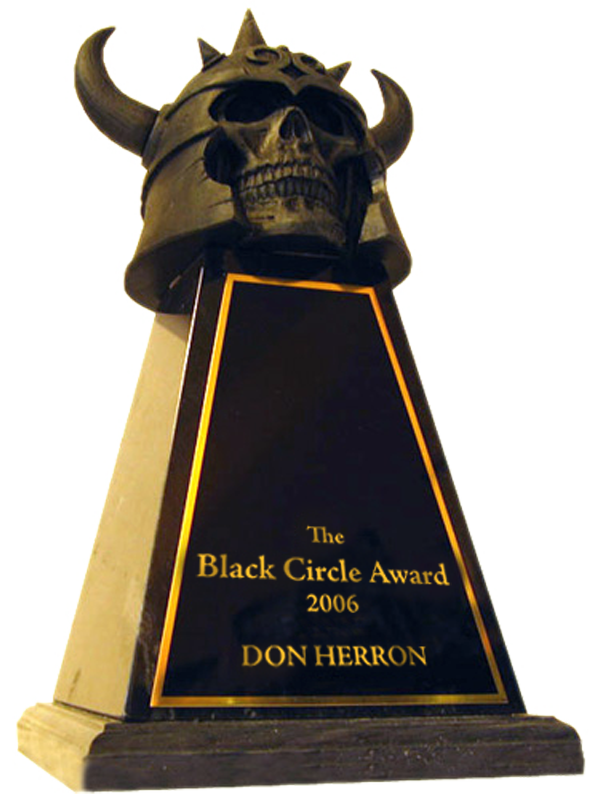 Leno is thinking hard about doing a book on Robert E. Howard and the boxing world of his era and before. You can see him gearing up for it. And I can only hope he goes for it — Leno knows more about boxing than anyone who has ever put a toe in Howard Studies. Could be one of the best books of its kind ever. To cover all that territory, it would have to be a big book. Limbering up, Leno already tossed a jab out there with a little book on Howard, Lovecraft’s Southern Vacation — which two days ago returned to no.4 on the Amazon Horror Litcrit Bestseller list, one of the categories where they put books on Howard and Lovecraft. Writing a book on boxing is tough work. The recollections of old boxing fans can be notoriously difficult to navigate, and if you ask three people about the same fight you’ll almost always get three different responses. 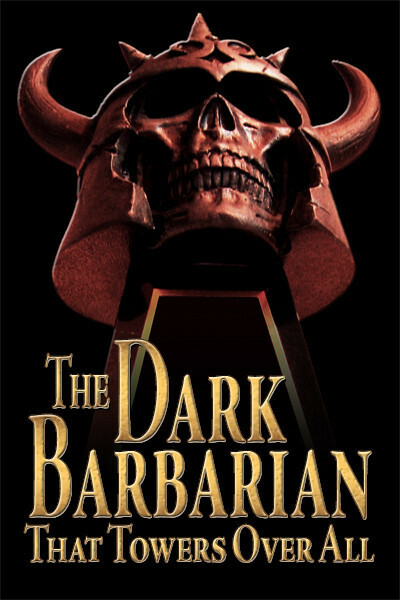 So it is when reading biographies of fighters from the so-called “Golden Age.” It is a fascinating hobby, but it’s a hobby where you have to go slowly and do some research on your own, because you’ll soon discover that one writer’s conclusions almost always vary from the other author’s take on the same subject. 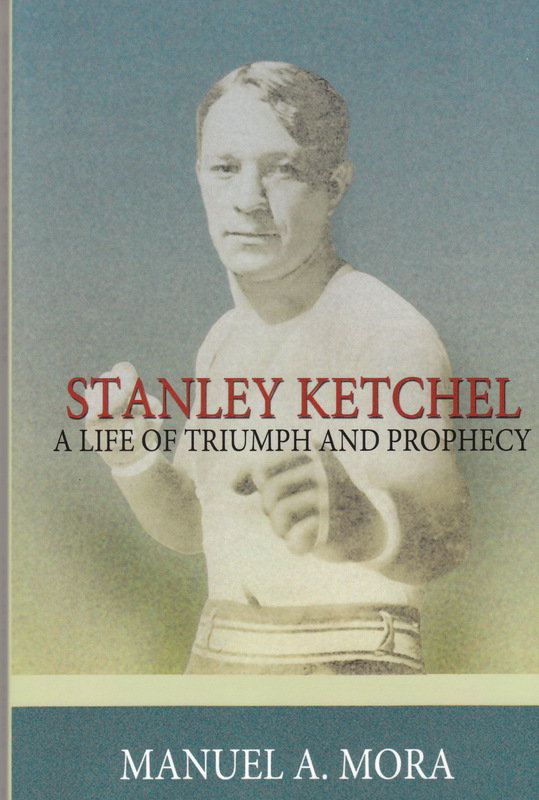 This fact was brought forcibly home to me lately by the reading of two recent books—Stanley Ketchel: A Life of Triumph and Prophecy, by Manuel A. Mora, and The Illinois Thunderbolt: Billy Papke, by Larry Carli — both of which, despite some criticisms which follow, I wholeheartedly recommend for the boxing fan. I also reread John Lardner’s marvelous article on Ketchel, “Down Great Purple Valleys,” which helped me get an idea of how a boxing historian viewed the great middleweight champion over sixty years ago. All students of the squared circle know Ketchel and Papke fought four battles during the years 1908-09, with Ketchel winning three contests, his only loss coming in the second in the series when he was knocked out. According to Manuel A. Mora, Ketchel lost this bout due to unsportsmanlike conduct by Papke, who, ignoring the traditional tapping of the gloves at the beginning of the first round viciously struck Ketchel, who was unprepared. Ketchel fought on but was never really in the fight after those first few unexpected punches; however it’s a testament to his gameness that he lasted into the twelfth round before being knocked out. This is the view most accepted by Ketchel biographers: Mora certainly agrees with it. There have, however, been no Papke books, and no one to tell us his side of the story. But now, over a hundred years since the last Ketchel-Papke contest, Larry Carli has produced the first biography of this troubled pugilist, something sorely needed by Papke fans. This slim volume enters the literary ring weighing less than ninety pages, with one-fourth of that total devoted to photographs, always a welcome addition to lovers of boxing. Carli is obviously a Papke fan as much as Mora is a Ketchel fan, and so he does address the infamous start to the second bout, seeing things a bit differently. He states it was Pete “the Goat” Stone (what a great boxing name! ), who, in 1936, first wrote of Papke’s duplicity in striking Ketchel before he was prepared in their 1908 slugfest. He adds this soon “became one of boxing’s legends” but in his opinion never happened. Carli declares it was Ketchel who actually threw the first punch, adding that he believes “the official Associated Press account of the fight”, which, according to him, proves his point. But Carli does not quote for his readers the pertinent passages from that press release, something which would help his case immensely. Regrettably, Carli does not furnish the name of the “national sports publication” nor does he reveal how he knows Stone made out like a fat rat in terms of what he was paid for his story. This is where a reader must tread warily and do a little research on his own, because Mora also sins by omission. In his account of this infamous second fight, he merely gives his version and doesn’t tell us where he got his information. If it comes from first-hand press reporting or the written memories of boxing fans that were there we’re never told. It gets even trickier when we start to look up information on Pete “the Goat” Stone. There you go — three boxing historians, three different views of the same fight. Even in the recounting of the violent deaths of Ketchel and Papke we come into conflicting accounts, and not just through the three writers discussed here. However if this post attempted to cover all the foggy territory concerning the different theories — and just plain guesses — of how both these men met their early ends it would soon become a book itself. Suffice it to say, for now, that perhaps the most famous early death of a fighter occurred in 1910 when Stanley Ketchel, “the Michigan Assassin,” was shot in the back and robbed by Walter Dipley and his girl-friend Goldie Smith, dying a few hours later. 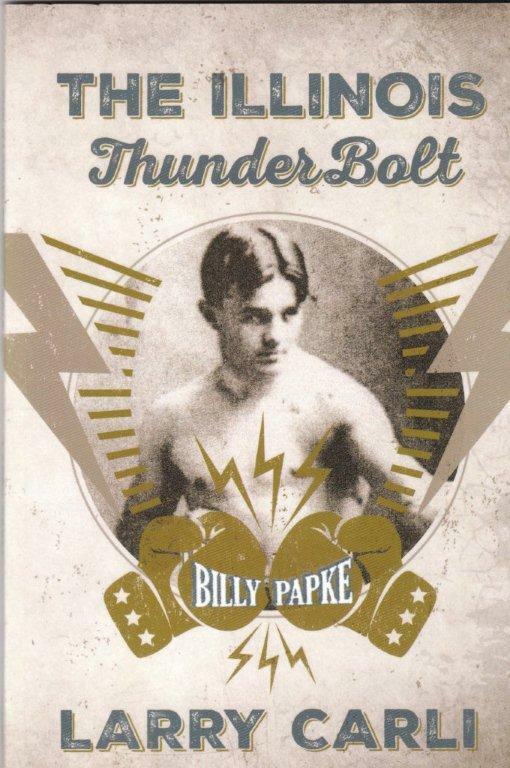 Billy Papke, whose greatest moment in boxing occurred when he knocked out Ketchel, would also meet a violent end — after shooting and killing his ex-wife he turned the gun upon himself and committed suicide. Boxing, called by Pierce Egan “the sweet science” can breed men of terrific violence. Violent men and sheep certainly don’t mix, but, along with their families, Ketchel and Papke both became lost, with their lives, and those of their loved ones, ending in the sound of gunfire. This entry was posted in Boxing, REH and tagged Billy Papke, Brian Leno, Floyd Salas, Hype Igoe, John Lardner, Lovecraft, Manuel A. Mora, Nat Fleischer, Nathan Ward, Pete "The Goat" Stone, Stanley Ketchel. Bookmark the permalink.